You are here: Home / Tours and Live Performances / 2014 Queenbert Tour / Adam Lambert Bares His “Seoul” – In a Twitter Party – Extended Version!! Adam Lambert just gave us a Twitter Party, lasting 1 hour and 23 minutes!! This was while he was resting for tonight’s show in Seoul, Korea. Thank you to the super-fast bloggers who got this up within minutes of it finishing! 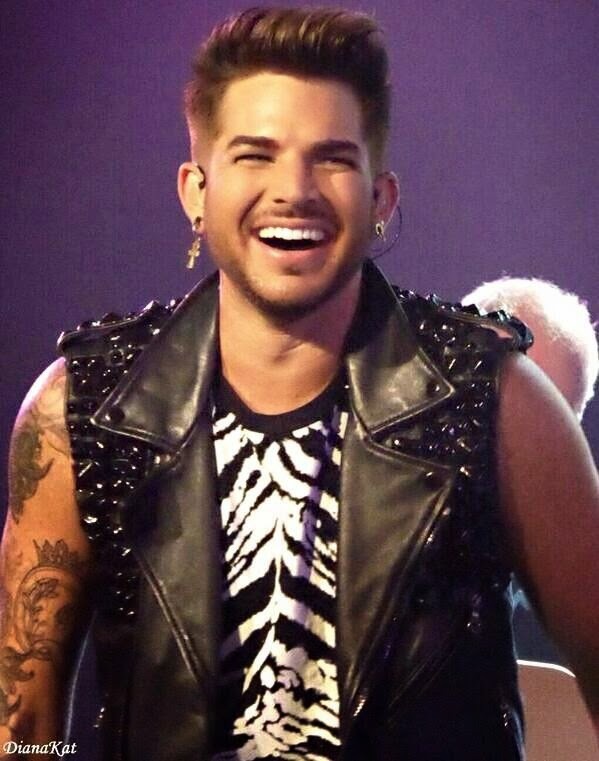 “@thnksfrthsins: @adamlambert what’s your favorite part about being on tour?” The energy of the crowd. It’s a great rush! – “@kamarmezher96: @adamlambert where are you at the moment ?” Seoul, S Korea! We have a show tonight! – “@MadaSkcor: @adamlambert Do you like One Republic’s Love Runs Out? I love it!” I LOVE that song. – “@Chris3Austin: @adamlambert had much chance to write for new album?” Yea it’s about halfway written. Approx. – “@colfabs: @adamlambert how is work with chris colfer?•” he was a total professional and very kind hearted. We got along like old friends. – “@purpleELMA: @adamlambert What’s one of the downfalls about touring?” gets a little lonely offstage, but once u get onstage it’s all good. They didn’t print the entire session but for more, go here. Or go here for the entire session, thanks to Liybop! I couldn’t check my phone notifications, but knew it had to be A-D-A-M blowing it up again 🙂 Thank goodness for unlimited texts! Yep, when I picked up my phone and saw 26 messages I knew it had to be him! Yeah, I was driving & my phone was dinging like crazy. After the 3rd one, I knew it had to be a T-party!